Burgers are individually wrapped and made-to-order with choice of protein, bun and cheese. Each burger comes with a mouth-watering selection of fresh toppings, condiments and signature sauces so everyone can create their own delicious masterpiece! 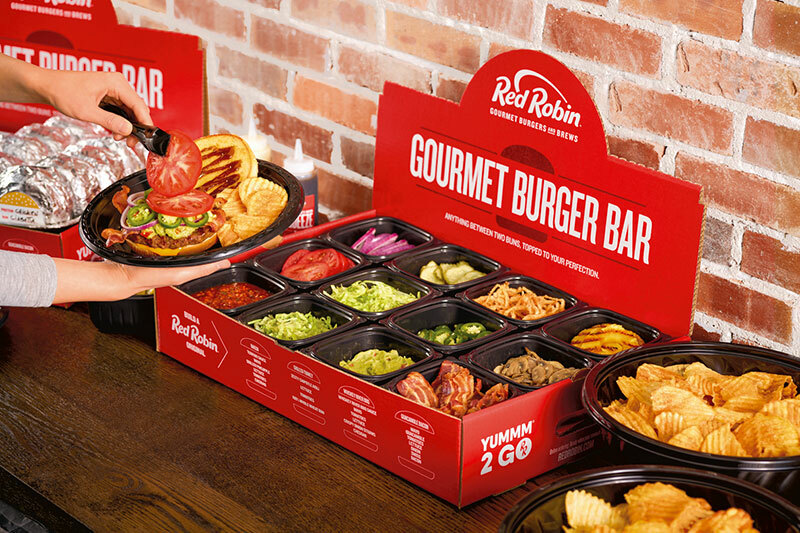 Each burger bar also comes with our house-made Yukon Kettle Chips, perfectly seasoned with Red Robin Seasoning. Plates, utensil and cutlery kits included. All burgers are cooked to No-Pink. Cal. 300 - 710/Serving. Based on 1 serving.